A committed group of Hopkinton residents and business owners who are active in identifying and soliciting prospective donors. An enthusiastic and creative committee dedicated to designing and executing events that raise money for and awareness of the Library project. Volunteer opportunities range from minimal involvement (i.e., taking tickets at a single event) to participation in all aspects of planning and executing events. Donate now by clicking on the button below. Write a check to the Hopkinton Public Library Foundation and mail to: Hopkinton Public Library Foundation, P.O. Box 16, Woodville, MA 01784. Support our 2015 Boston Marathon runners. 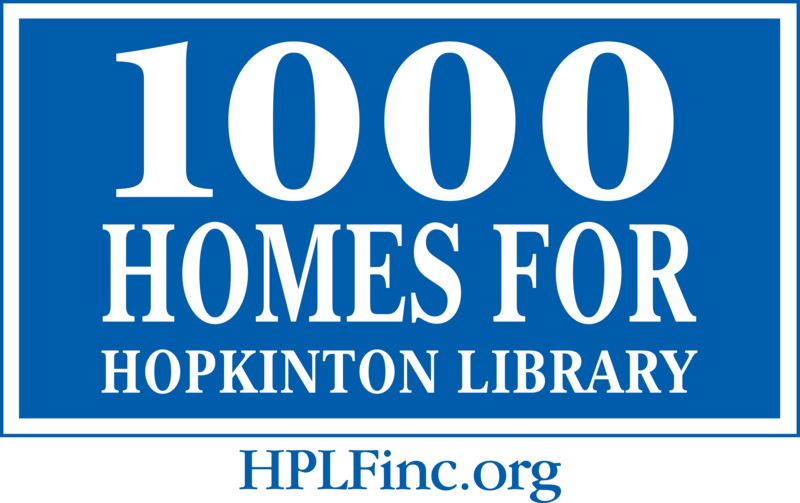 Please contact Laura Barry, HPLF Chairperson, at 508-435-0087 or info@hopkintonpubliclibraryfoundation.org to discuss how you can help to build the new Hopkinton Public Library.